Walmart and Sam’s Club Celebrate 30 Years of Supporting Miracles! 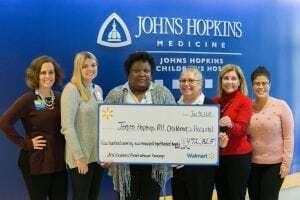 Thanks to the support of Walmart and Sam’s Club associates, customers and members, more than $472,000 was raised for Johns Hopkins All Children’s Hospital in 2017 – thank you making this 30th year of support a wonderful one for our kids! Previous post: May I Have This Dance?